In 2018, the 26th annual DC Environmental Film Festival (DCEFF) will honor environmental heroes with ‘Stories from the Frontlines’. Under the theme “Challenges Today and Tomorrow Towards Agenda 2030”, members of the Conference of NGO in Consultative Status with the United Nations (CoNGO) is meeting to celebrate the organization 26th General Assembly and its 70th anniversary. For the first time ever, the Dominican Film Showcase went to Costa Rica. Every Tuesday from January 23 to February 20th, Costa Ricans enjoyed an interesting variety of some of the best Dominican films as well as the presence of special guests such as Yvette Marichal, Director of the DR Film Commission (DGCine) Laura Amelia Guzmán, Dominican filmmaker, and Danilo Reynoso, Dominican actor and film producer. GFDD hosted an interesting and timely discussion on successful education and labor markets, with Maria Marta Ferreyra, Senior Economist, Office of the Regional Chief Economist for Latin America and the Caribbean of the World Bank, and author of " at a Crossroads. DREFF 24/7: A New Online Platform for Environmental Films! It is available online at http://24-7.dreff.org and boasts an interesting variety of shorts, feature-length films, and past winners of the Globo Verde Dominicano Award, an initiative of the DREFF. And as time marches on, more films will be added to the platform. For the first time ever, the Dominican Film Showcase went to Costa Rica! Every Tuesday from January 23 to February 20th, Costa Ricans enjoyed some of the best Dominican films, including: Dólares de Arena, Death by a Thousand Cuts, La Familia Reyna, La Lucha de Ana and Cristo Rey. These events were a joint effort of GFDD/Funglode with the Dominican Embassy in Costa Rica, DGCine (DR Film Commission), and the Centro Costarricense de Producción Cinematográfica. 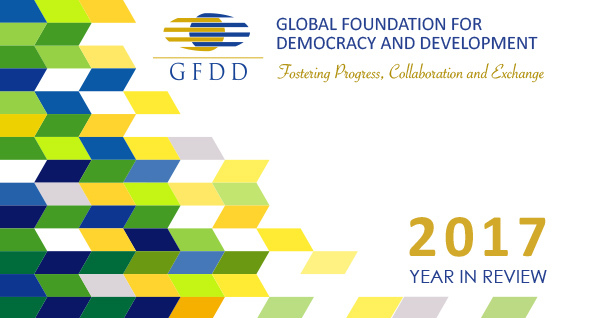 GFDD will host its 11th Golf Tournament! This year’s participants are sure to feel just like the professionals on a course long used for PGA Champions Tour events. There will be no shortage of scenic vistas of Miami and lush tropical foliage at this signature city course. The day’s activities will include brunch, quality time on the driving range, 18 holes of golf, presentation of awards to the day’s top competitors, and a luxurious dinner banquet. The Environmental Film Festival in the Nation’s Capital (DCEFF) is the world’s premier showcase of environmentally themed films. Since 1993 its mission has been to celebrate Earth and inspire understanding and stewardship of the environment through the power of film. The Dominican Republic Environmental Film Festival (DREFF), a GFDD initiative, has been a partner of DCEFF for many years and celebrates a Dominican Night every year. This year's special night, "Local Stories of Environmental Success", brings two new environmental Dominican films and panel discussions with the filmmakers: Aristolochias of Haiti (by Eladio Fernández) and Cacú: Un Cambio por la Vida (by Marvin del Cid). When: Monday, March 19, 2018 at 7:00 p.m. The Environmental Film Festival in the Nation's Capital (DCEFF) and the Dominican Republic Environmental Film Festival (DREFF) will host a special side event called "Environmental Journalism and Activism: Creating and Sharing the Frontline Stories". When: Tuesday, March 20, 2018, 11:00 a.m.